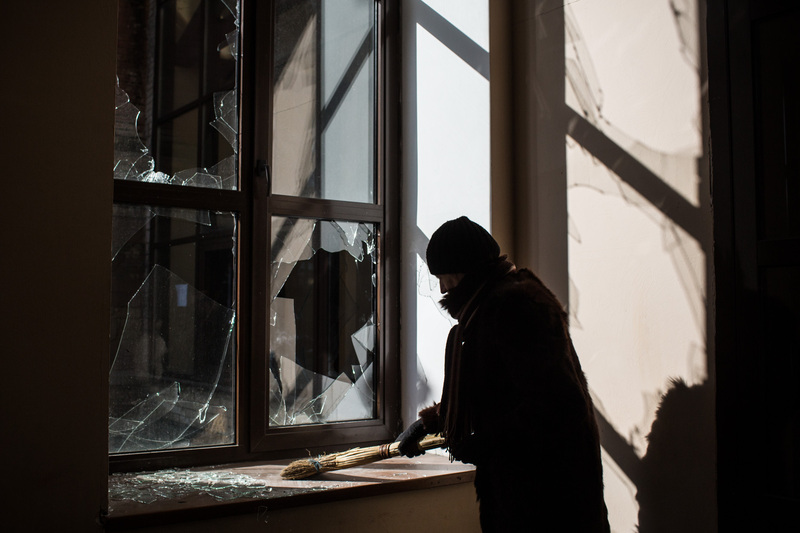 A woman cleans up broken glass at the partially destroyed Debaltseve train station on February 25, 2015 in Debaltseve, Ukraine. After approximately one month of fighting Russian backed rebels successfully forced Ukrainian troops to withdraw from the town of 100,00 people on February 18; a ceasefire was quickly established after the town fell. Only approximately 11,000 civilians remain in the town. Debaltseve is considered an asset to both Ukrainians and the rebels due to the railway station and it's connection to other eastern Ukrainian towns.